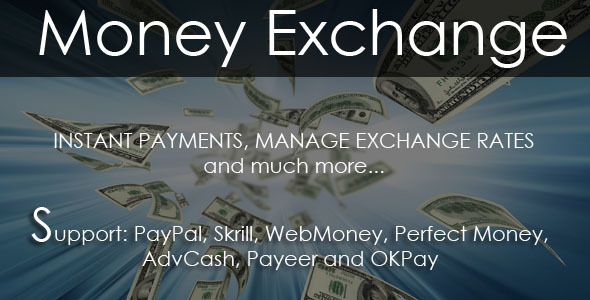 With Money Exchange 2 can diversify your business by earning money without costing you anything. You just need to make certain exchanges as orders from your customers. You can easily control the currency and exchange rate with just a touch of facilities to use admin panel. Note that this script does not use API to any website to exchange money. This is a standalone system that is well protected you need to make exchanges.